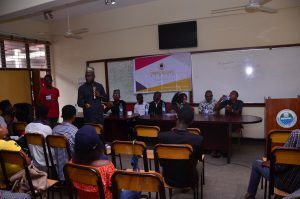 At a highly stimulating event held by the African Student For Liberty (ASFL) to mark Nigeria’s independence anniversary, students of the University of Lagos (UNILAG) gathered at the school’s Faculty of Arts to learn about ideas of liberty and to deliberate on how their country can be prosperous. The event with the theme: “The Road to Freedom Colloquy”, had Moronfolu Adeniyi, a sensible drug policy expert, opening the session with a though-provoking lecture titled: Breaking barriers in students’ activism. The role of young people in nation development, Adeniyi said, starts with becoming thought leaders and innovators in their respective areas of activities. He said: “When we talk about leadership, many people lay too much emphasis on political leadership; whereas leadership starts with individual’s action to initiate thought, either political or social, that will set their society on the oath of development. Leadership can also come from being innovative and taking entrepreneurial actions.  Lekan Latubosun, a prominent activist for free society, engaged the student on how to create free and prosperous society in his speech titled: Liberty, a necessity for prosperity. 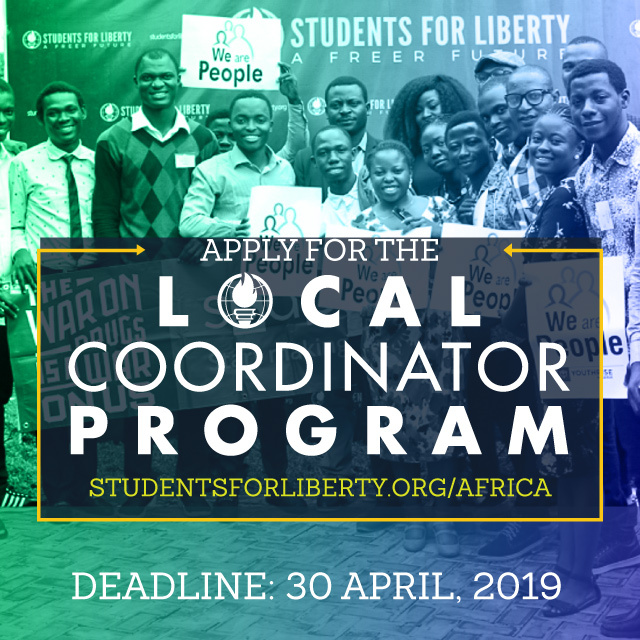 He encourage the students to take advantage of the Students For Liberty (SL) network to get educated about the ideas of liberty, develop their leadership skills and get empowered to change their communities for good. There was also a panel session moderated by, AfricanLiberty.org Editor, Wale Ajetunmobi, in which SFL leaders, including National Coordinator for African Students For Liberty (ASFL), Bayo Fesobi, ASFL Alumni Relations Director, Lilian David, and the Academic Director of ASFL, Feyisade Adeyemi, answered questions from the participants on how to tackle issues impeding freedom on their campus. Giving feedback after the panel, members of the audience took turns to express their views about the ideas of liberty. They said the engagement changed the narratives they were told about libertarian ideas, seeking further clarifications on key issues of ideas of liberty. 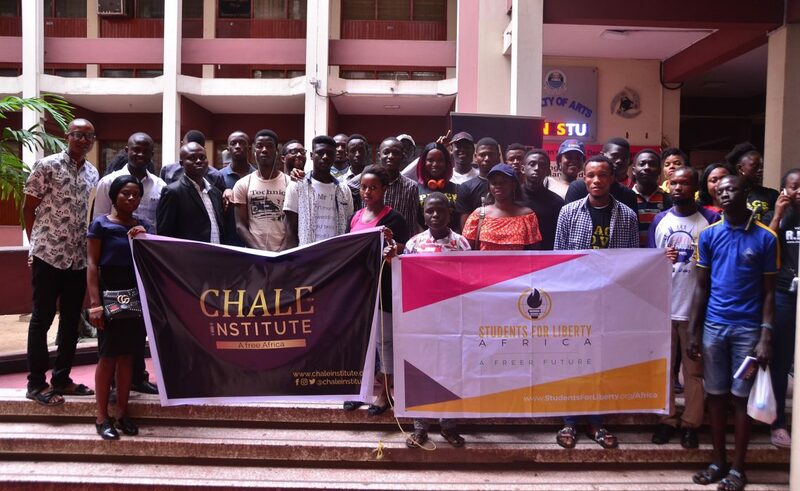 The highpoint was the official launch of a new libertarian think tank, Chale Institute, introduced to the participants in course of the panel session. A cake was cut and shared to members of the audience in celebration of the establishment of the think tank, as well as Nigeria’s independence anniversary. Mr. Walter Spearheart entertained the participants with his Harp Music played live at the event. Various gift items, including books, T-shirts, mugs, pens were shared to the participants.